Before starting Camp Bow Wow, a chain of canine day-care centers, in 2000, Heidi Ganahl, 48, was a pharmaceutical saleswoman, a certified financial planner and the owner of a baby-bedding catalog. Nothing about these careers stirred her passion, and after losing her first husband, Bion, in a plane accident, Ganahl felt lost. Her brother suggested she give Camp Bow Wow a try. It was a business idea she had with Bion, but one that was put on hold after his death. 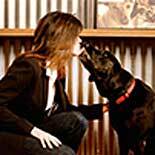 With money from her husband's life insurance settlement, she opened the first Camp Bow Wow in Denver and by 2003 starting franchising the concept. Today there are more than 150 locations throughout the U.S., and last year franchisees pulled in $85 million in revenue. Ganahl gave up a cushy life to follow her gut. "Pharmaceuticals are the golden handcuffs. I was making good money with good benefits, but I was bored," she said. At the time I started, doggy day care was just becoming a thing in larger markets." The first Camp Bow Wow started with 10 employees. Today the company employs about 3,000, including franchise employees. Camp Bow Wow is currently available in 40 states and Canada. It has in-store sites and home-care aides. The company's success reached its apex last August, when it was acquired by VCA, a publicly traded veterinary-care company with a market capitalization over $4 billion. Ganahl, who still serves as company CEO, said, "I was able to hire a president to run the day-to-day, and being acquired by VCA has been great. They are one of the leaders in veterinary care. They've left us alone to do what we do best, which is franchise, but they've also connected us with a lot of great resources and connections." Ganahl said her current focus is on technology. "We're working on apps and services that allow pet owners to FaceTime with their pets," she said. "We work with DogVacay, which is the Uber of pet travel." DogVacay matches pet sitters with people who are traveling.